The craft scene in Estonia seems to have exploded out of nowhere. It must be only a year ago that I was reading about the homebrew scene there, and the first brew from Põhjala. Since then, over a dozen microbreweries have popped up, and they’re not afraid of experimentation. Estonia (specifically Tartu) played a role in the history of imperial stout, so maybe it’s no surprise to see a variety of stouts being produced (including a very minty mint stout); there’s also pale and red ales, weizens, and so on. I ventured across the baltic a couple of weeks ago to check out the selection. There’s a few small shops in and around Tallinn where most of these microbrews are available–I’d almost forgotten what it’s like to not be forced to go to Alko–and an increasing number of bars. I stopped by Koht, a cozy and centrally-located place which is both shop and bar, and also stocks a refreshingly low-priced range of international craft beers (the usual suspects from US, UK & DK, plus a few Italians). The local stuff started at about €2.50 for a 33cl bottle. If you don’t fancy the ferry ride, you can head down to Bryggeri and check out their Viron Pienpanimoviikot (Estonian Craft Brew Week(s)), where you can find a whole bunch of Estonian beer, with food to match, until March 14th. 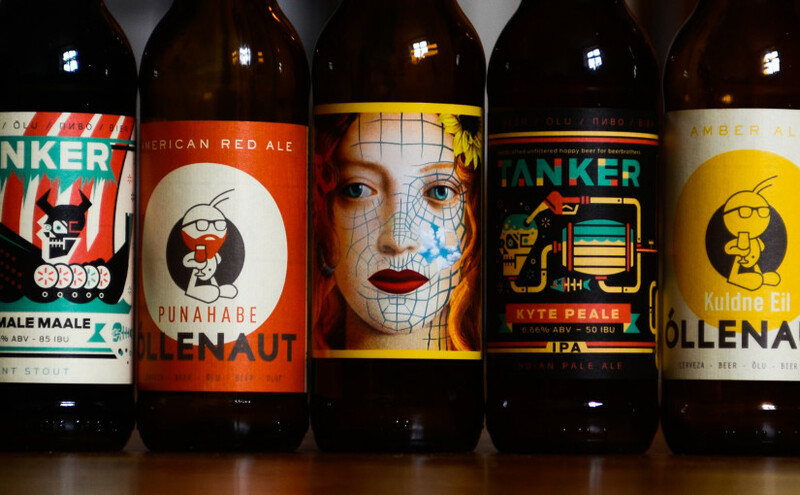 If, on the other hand, you have nothing better to do on the last weekend in March, you could check out Tallinn Craft Beer Weekend, the first ever international craft beer festival in Estonia. They’ve got an impressive lineup of breweries, and the €50 day ticket includes a glass, and all your drinks (that’s another thing I’d almost forgotten was possible). Next Next post: Want to drink Irish on St. Patrick’s Day?